I once consulted to a convenience store chain with 150% store manager turnover. Turns out they gave lie detector tests to each manager every month to cut down on theft. The frequent measurement sent a message to managers— “someone must be getting away with this, maybe I’ll try it.” Click. Results perverted. So, considering the amount of money on the line, it pays to scrutinize every single customer-employee encounter. That’s exactly why so many call centers survey customers to determine their level of engagement. But what happens between measurements? At best, customer service representatives (CSRs) see their customer scores once a month. Many CSRs only get their scores quarterly or annually. It’s difficult to sustain energy and focus on customer engagement when the feedback is infrequent. The challenge for team leaders and managers becomes finding ways to keep CSRs committed to engaging their customers, even when new data isn’t available. Specifically, how can team leaders keep customer engagement from feeling like an isolated event, rather than a way of doing business? 2. The ideal management tool for accomplishing the above would be massive feedback in the form of customer survey data—way more frequently than monthly. This is perverse on so many levels I don’t know where to start. Let’s look at just three. Perversity number one: the advice that Gallup then serves up is excellent—and has almost nothing to do with their premise. 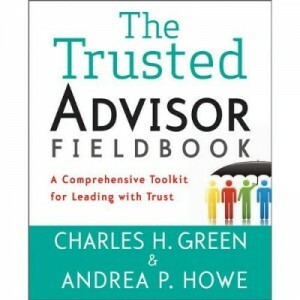 Their advice is to establish emotional connections with customers across four levels of customer engagement—Confidence, Integrity, Pride, and Passion—and they give excellent advice about how to do it. Well done. Why oh why, then, do they position this advice as being the fallback alternative to multiple choice phone surveys? When was the last time you filled out a “how did we do” survey except when you were pissed off? The data are necessarily non-specific, post-hoc, and suspect. Why do we think it better than real-time good supervisory feedback? Perversity number two: mistaking the end for the means. If integrity is in service to making a buck, why should anyone trust you? Faking sincerity is a con job. No one knowingly trusts a con man—because he’s in it for himself. Companies who say the purpose of customer service is to make money are simply con men who are more up-front about their goal. Make profit an outcome, not a goal. If you make it a goal, you sow distrust. 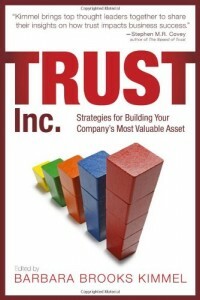 If your goal in establishing trust is to make money, you will lose both. Perversity number three: believing that extrinsic measures are better than intrinsic ones. If the system rewards and encourages me for going from a weekly score of 3.5 to one of 3.6, then I will obsess about tricks, tweaks and tunings. If you then peg my compensation to it, you can be sure the last thing I’ll think about is true customer connection. Click. Results perverted. Read Alfie Kohn’s fine book Punished by Rewards: The Trouble with Gold Stars, Incentive Plans, A’s, Praise and Other Bribes. Someone who actually cares about me will beat the pants off someone who fakes caring to make money off me. And ironically, the first person is far more profitable anyway. As a byproduct. Do what Gallup recommends as second best; it beats the hell out of massively focusing on extrinsic measures. And not just for convenience store managers.